Just ran across something that I thought may interest some that fish off Cape Lookout. 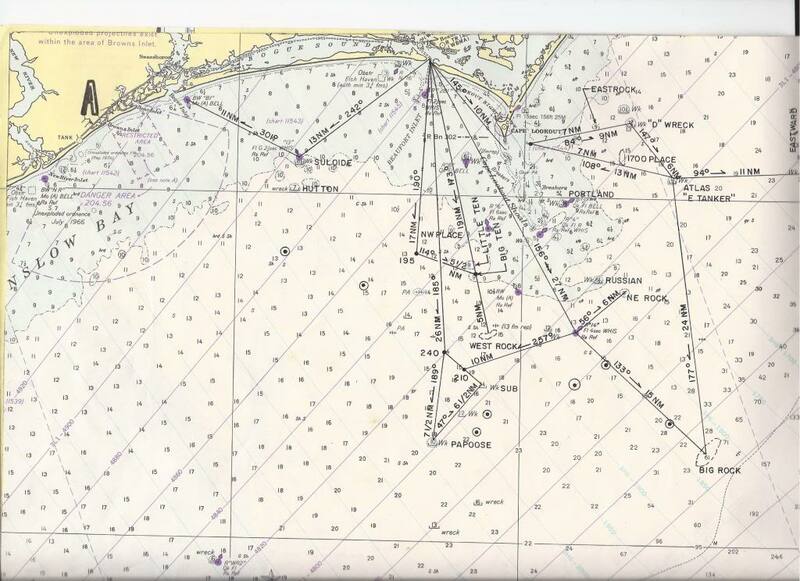 This is a chart that I kept on the flybridge to hopefully locate my fishing spots. As is readily apparent the chart differs from the modern day chart. Many features have been added as artificial reefs have been established to support the fishing and diving. Notice the lines on the chart are for LORAN A. That was a big advance for us. We had a military surplus unit in the cabin. It was single track, and tuned with an oscilloscope. 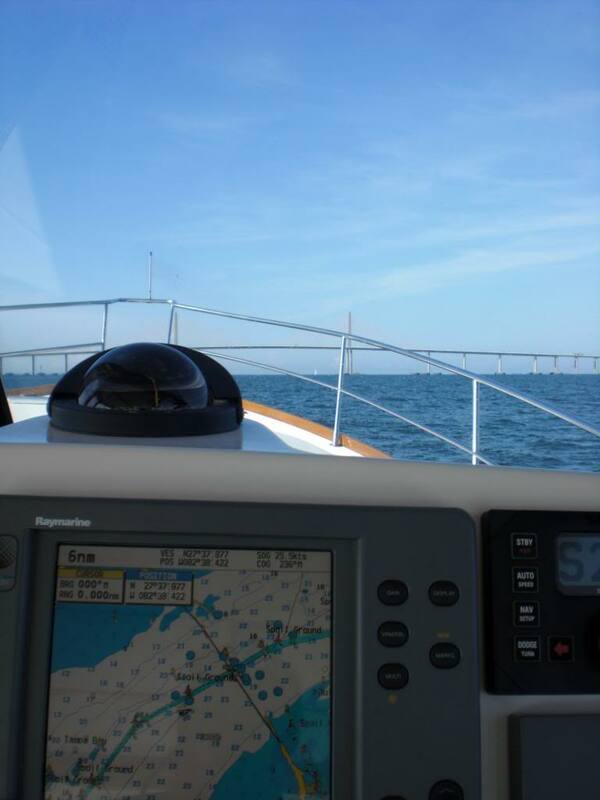 As a result we would get the boat tuned on a line, take a compass heading along the line, and fish along the line. To get an approximate fix we would usually use a RDF to get another LOP. Light years ahead of our old DR plots. We could get another LOP by running down to the cabin and tuning another station. When we started all we had for a depth finder was a flasher. When we moved up to a paper graph it was like a new world. We could make out bottom features. On the chart you can make out the 9-11' marked channel between buoys 2 and 4. That is where I short cut through with my props buzzing the bottom in the troughs. That channel does not show on today's chart. The chart was annotated by one of the draftsmen in the office. I kept the chart in a waterproof acetate sleeve, and marked fixes on it with a grease pencil. Plotting fixes on my knee while running the boat was quite an unforgettable experience. I think I will keep the chart. What a difference 40 years makes. Chart plotters, interfaces, joy sticks, and who knows what is coming.